Wells Fargo Labels Customer 'Bankrupt,' But Is She? A South Bay woman is suddenly unable to do her everyday banking. When she asks why, she's told the bank computer believes she's bankrupt. But, she isn't. NBC Bay Area consumer investigator Chris Chmura reports. Mary Smith is newly engaged and eager to tie the knot, but she her bank is standing in the way of planning a dream wedding. "I don’t feel comfortable planning anything until we get this all sorted out," she said. Mary Smith is a pseudonym. We’re not using her real name because Mary says her bank, Wells Fargo, has labeled her as bankrupt. She said she became aware of the mistake when Wells Fargo would not allow her to make an ordinary monthly credit card payment. "What they informed was that there was nothing they could do for me at that time, because my account was now being overseen by the bankruptcy department," she said. Mary says she has never filed for bankruptcy, but Wells Fargo’s computers said she had. Mary figured this was a simple mistaken identity because her real name is almost as common as "Mary Smith." "It’s very common," she said. "To the point that when I went to the bank he had to narrow down which Mary Smith I was." Mary says various reps assured her they would fix the error. Then, months went by and nothing changed. Except her credit score. "It’s gone down significantly," she said. "I wouldn’t be surprised if I was looking into moving or buying a car … I would be denied." She showed us her credit report. There’s one reference to bankruptcy, added by Wells Fargo. So, Mary turned to NBC Bay Area Responds. "Help me, please," she said. We immediately asked Wells Fargo to intervene. Meanwhile, we searched court records. We found Mary Smith’s name plus the last four digits of her social security number on a bankruptcy filing last year in Los Angeles. "I’ve never lived in Los Angeles before," Smith said. The Bankruptcy court trustee in Los Angeles told us Mary and several other people were unknowingly written into a real estate scheme near Palm Springs. A homeowner there filed a flurry of fake papers using real people’s names and social security numbers to try to stall his home foreclosure. Records show the court eventually caught on and let the foreclosure proceed. A judge also dismissed Mary’s bogus bankruptcy. We tried to share all this with Wells Fargo. We also requested an interview. "...when a bankruptcy case is filed that impacts or appears to impact our customer(s) or account(s), Wells Fargo follows the provisions of the United States Bankruptcy Code and Rules." We asked how much longer Mary will have to wait to get her record cleared. We did not receive a response. Next we turned to Ike Shulman, a veteran bankruptcy attorney in San Jose. 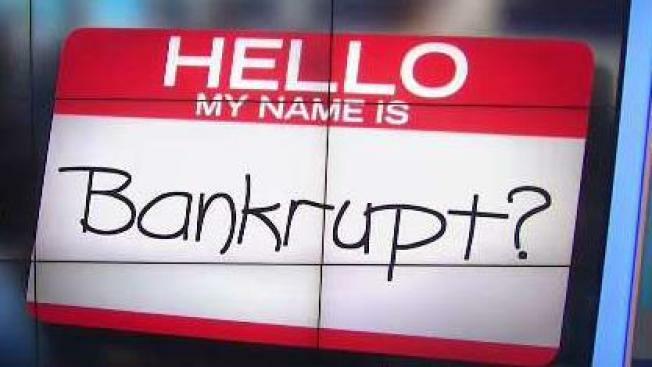 "If somebody finds they’ve been reported in a bankruptcy that they didn’t file, it’s pretty damaging," he said. Shulman believes Wells Fargo should have been able to find the paper trail -- and quickly clear Mary’s name. "It’s an error by the creditor and they need to correct that," he said. "Take whatever steps are required to mitigate the damage." Since that hasn’t happened yet, we recommended Mary apply for a new Social Security number, which is possible when you’re an identity theft victim. "I honestly didn’t know that’s an option," Mary said. "I would be open to it at this point, after everything I have gone through." As for her wedding, which she dreams of holding at Disneyland, Mickey and Minnie must wait. Mary’s not planning a fairytale event until this banking nightmare is over. "We can’t," she said. "We need this resolved." Mary says Wells Fargo is still refusing to take her credit card payments. That means she’s carrying an unpaid balance — which can further damage her credit — even though she’s ready to pay. Mary said she recently hired a lawyer. She feels she now has to sue Wells Fargo.